In the summer of 1908, the financier J. Pierpont Morgan (left) dined in New Haven with Yale’s president, Arthur Twining Hadley. Perhaps Morgan was beginning to think of Yale as a suitable home for a future Babylonian Collection. 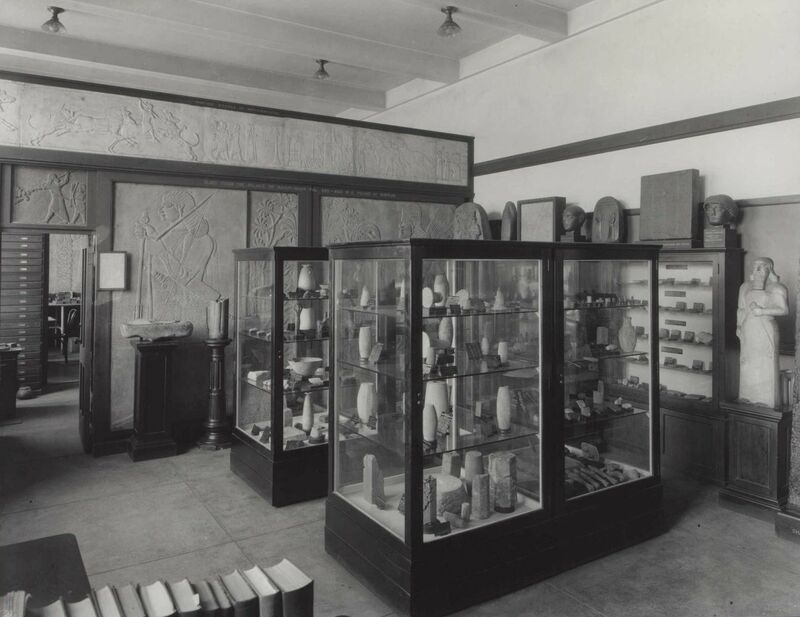 Morgan was already involved in purchasing Mesopotamian tablets and cylinder seals, mainly from dealers in Paris, and adding them to the art housed in his New York mansion. His advisor was a dynamic young man named Albert T. Clay, who had received a doctorate in Assyriology from the University of Pennsylvania and stayed on to teach Hebrew and serve as Associate Curator in the University Museum. Yale was in a period of transition from the days of William Rainey Harper, whose Hebrew Institute had been a national sensation. Hundreds of people attended his lectures, which he had to give twice, once for students and once for the general public. It was said that New Haven policemen recited biblical Hebrew verb paradigms while walking their beats. Despite the best efforts of Yale’s president, Timothy Dwight, to retain Harper and his Assyriologist brother, Robert Francis Harper, they departed in 1891 for the University of Chicago, where John D. Rockefeller had lavishly endowed an Oriental Institute. To replace the Harpers, Yale eventually appointed Charles C. Torrey to teach six Semitic languages, as well as ancient Near Eastern history and archaeology. For a decade he sought administrative approval for additional faculty positions, to no avail. Imagine his astonishment to hear of Morgan’s benefaction from Hadley. Hadley was himself taken aback, for without preamble he had been invited to New York to call upon Morgan on 3 November 1909. Morgan offered Yale 1000 shares of U.S. Steel to fund a professorship in Assyriology and to secure tablets and other artifacts. He proposed a salary of $5000, a princely sum at the time and more than Torrey was earning, and strongly suggested that Clay be the first William M. Laffan Professor of Assyriology and Babylonian Literature. Laffan, then editor of the New York Sun, was a friend and art consultant to Morgan and a fellow collector. Clay approached his new post with energy and enthusiasm. Within a short time, he had acquired over 14,000 items, founded several publication series and brought out ten volumes, and worked tirelessly to make the Babylonian Collection both a place of serious scholarly endeavor and a resource for the wider public. At his premature death in 1925, the Collection had become one of Yale’s most important institutions. He also attracted other significant gifts. In a codicil to his will, James B. Nies (right), an Episcopalian minister of independent means, removed Columbia University as beneficiary and left his large collection of tablets and seals to Yale, together with a trust to pay for their publication. To date, ten volumes have appeared in the series, Babylonian Inscriptions in the Collection of James B. Nies (BIN). 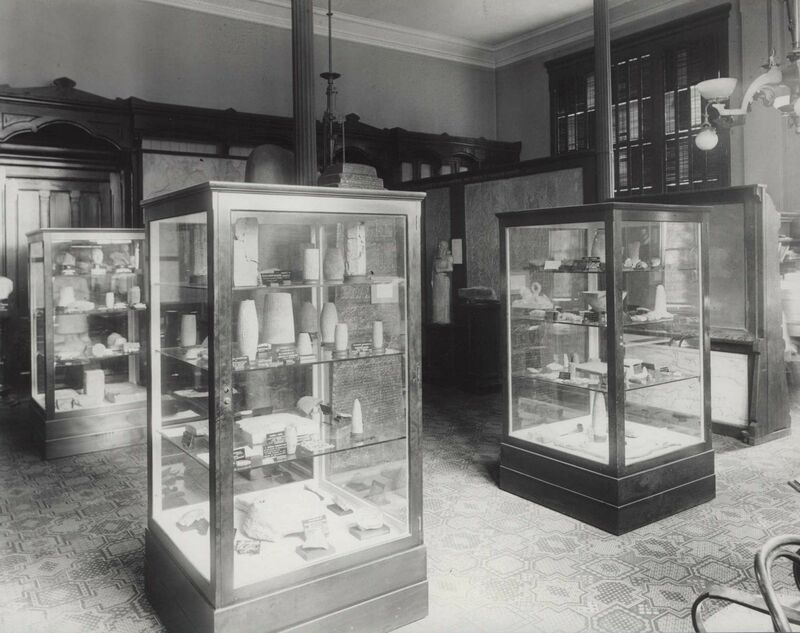 Beyond Yale, Clay founded learned societies in the Near East, raised funds for libraries and museums there, shipped books to Baghdad for Iraq’s first research center devoted to its past, and even mounted an expedition to search for the ancient city of Mari. The Collection’s first home was in Edwards Hall (left), demolished to build Calhoun College, with the displays open Sunday afternoons during the academic year from 2 to 4:30. Its next home was in Room 202 of the Osborn Zoological Laboratory (right). The sharp eye will recognize the custom-made tablet drawers, exhibit cases, and frames for the casts of Assyrian reliefs, all still in the Collection today.